I always wanted to be a pilot. To soar like a bird above the clouds, not having to think about anything, just enjoy the silence. But dreams are one thing and reality is another. Today, I fly every day, but the silence and carelessness are gone. Families with children are screaming in the cabin, worried about the height, birds or weather, flight is never quiet enough. I cannot just daydream, enjoy engine pull and let it all go. But even though I am enjoying it and I would not trade this for any profession in the world. 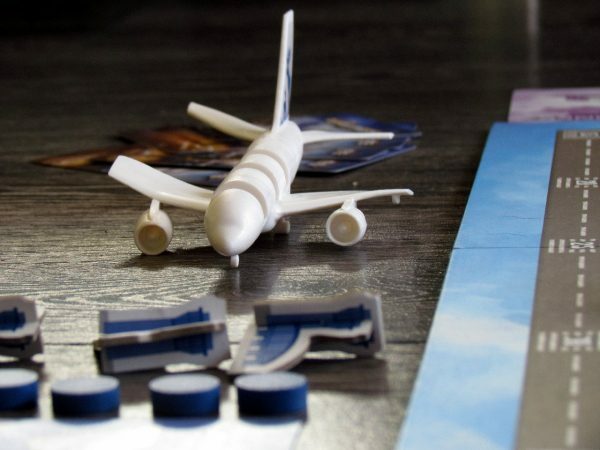 Players get to fly not only one plane, but own entire airlines. 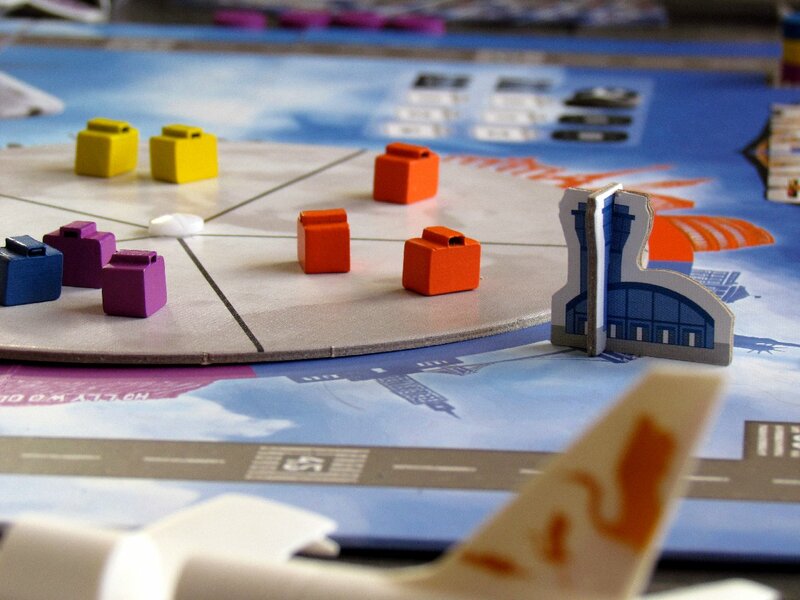 This is precisely, what author Elad Goldsteen has prepared for us in his game named Airlines. 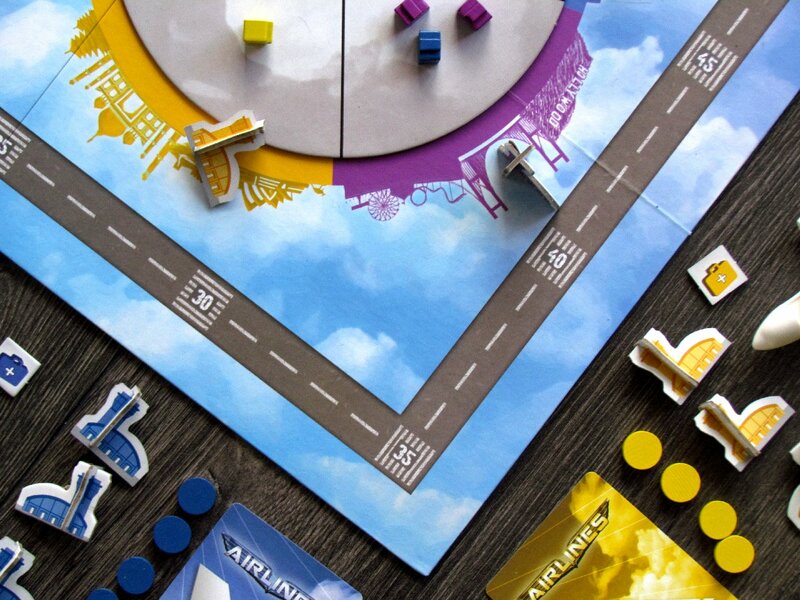 Game was published under auspices of Golden Egg Games and was introduced in 2016 at the fair in Essen Spiel. Large square box has a transport plane on its lid with one flight attendant, but surprisingly no pilot. They are all hidden inside, where players find at first big folded game board. And in the center of the globe, there is an opening for mounting rotating board split into five sections. Whole big board is bordered by airstrip representing scoring scale. 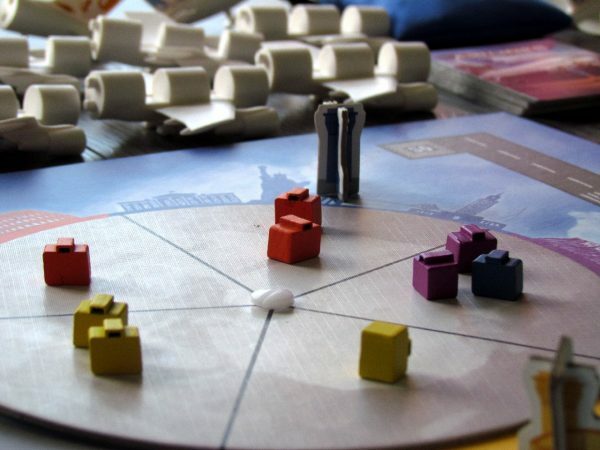 Plan with rotating globes (watch out, you need screwdriver to deattach it) will be set by players in the center of the table. Rotating part is set to match colored lines of continents on the bottom board. By at the beginning, players get each have their own airline. 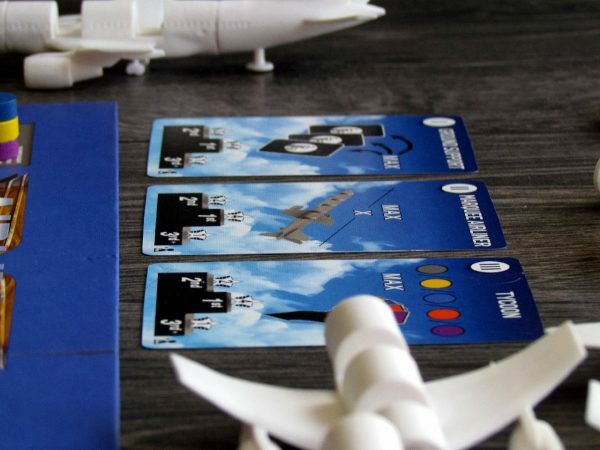 Choosing it also determines color and player will therefore get appropriate round token, cardboard airport, one starting terminal token and especially first plastic component, which gets to heart of all aviation fans. 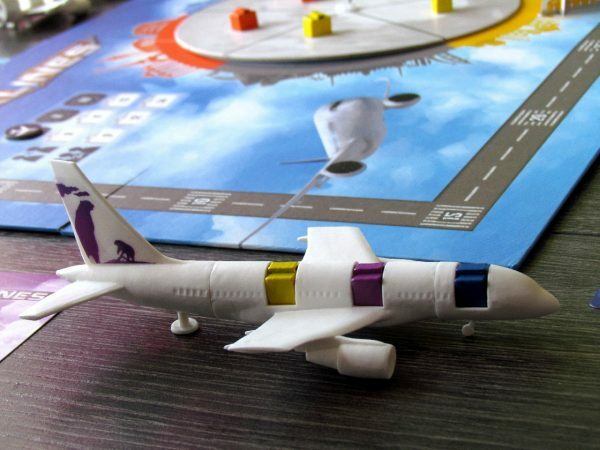 Each participant gets his true plastic tail with logo of his company and connects it to common body and cockpit, thus creating his first airplane. Scoring marker is placed on the field with number zero, airports are placed on the appropriate place (by color) on the globe. Then it’s time to prepare common space. 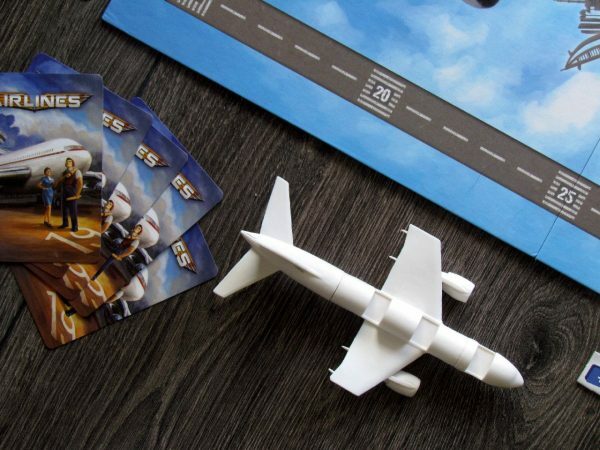 Players shuffle airlines deck (41 cards), lay it next to the board (drawing five each as starting hand). At the same location, they also create challenges out of three levels offer (differentiated by Roman numerals) by drawing random top card of each type. 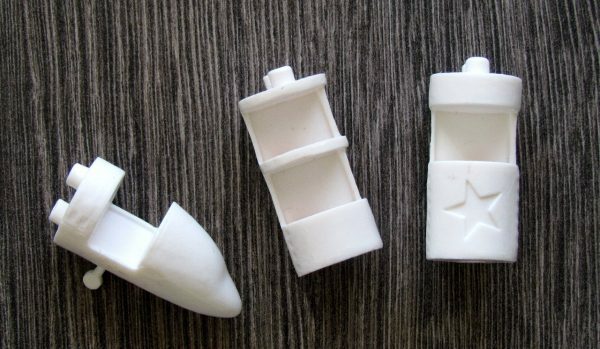 All remaining aircraft parts are spread out in groups easy to reach, while all wooden cases representing passengers are poured into a canvas bag. Five of them are immediately pulled out and placed on the rotating globe next to their color. Passengers would like to board from there. Then players turn globe around by one slice clockwise and draw next four suitcases. Indicator of rounds will occupy position number one and game begins. Entire game is divided into three rounds, but they are divided further into turns. In all of them, players alternate and have a choice of two actions, but always can choose only one. Either to draw two new cards from the deck and then any one from their hand. Or, conversely, to play a card for its effects. And there is a lot different printed on cards. Player must first, immediately after playing the card, rotate globe by as many steps as card prescribes in its lower left corner. Then, players have another option. They must choose whether to use airport’s main event or simpler global action. First option mentioned is to build new building in his home airport. To do this, he needs to pay by discarding cards from his hand (price at bottom right corner) and then he may play building ahead and take advantage of its benefits. 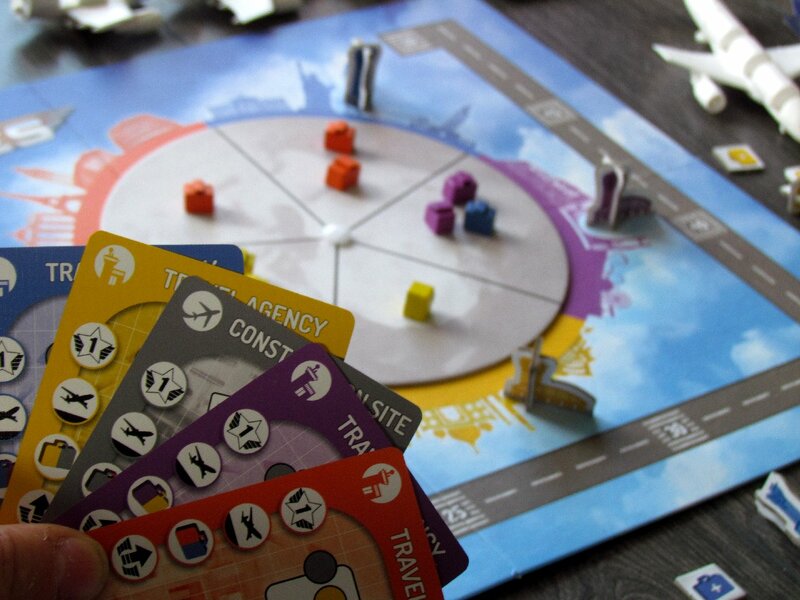 Second option is to play card for its special action, whether to draw, reducing building costs or opportunity to play more cards. 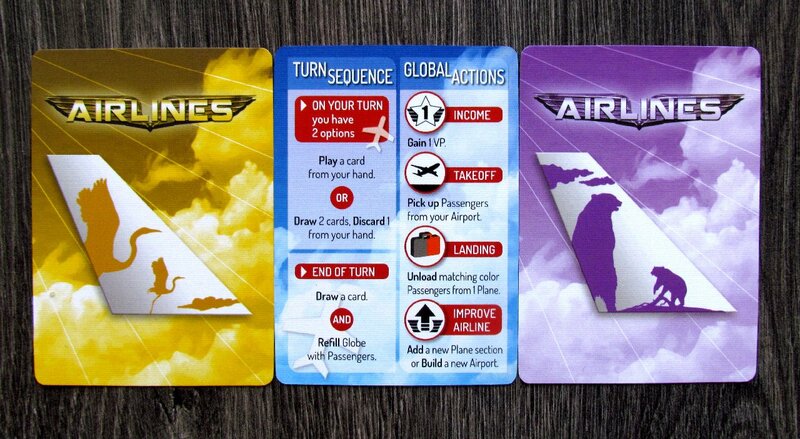 Only now, we get back to those global actions, that are printed on the left (four different) on each card. They are even more variable, although they may start with option to simply add one victory point to player’s score. But more interesting is chance to board any number of passengers from one site. 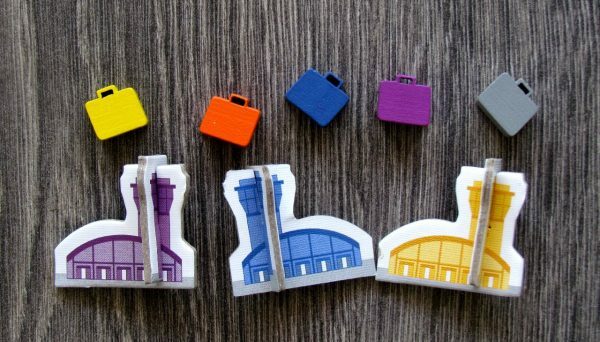 To do this, player needs to have at the same time airport built in this part of the world (= color). Aircraft may load only a limited number of suitcases (passengers), placing them in gaps in the hull one piece in each space. Conversely, players can also drop passengers off the plane. But players may do this only with passengers of the same color as is suitcase printed on the card. 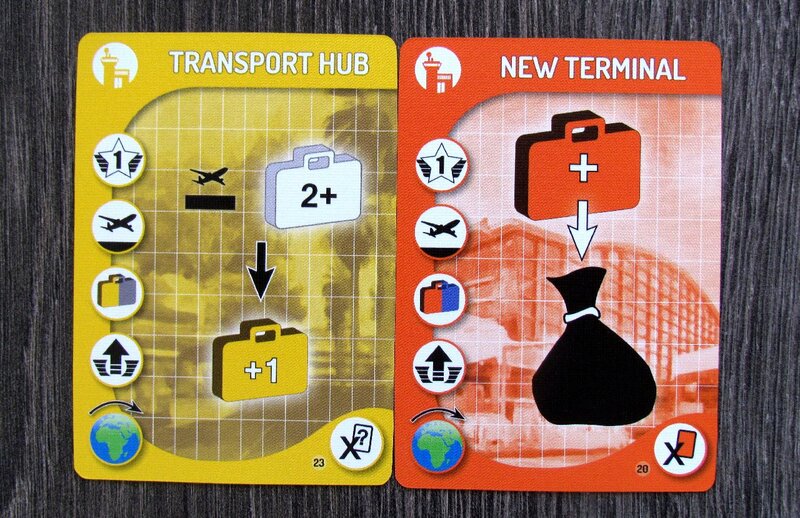 Any such traveler delivered to his destination immediately brings player a victory point. 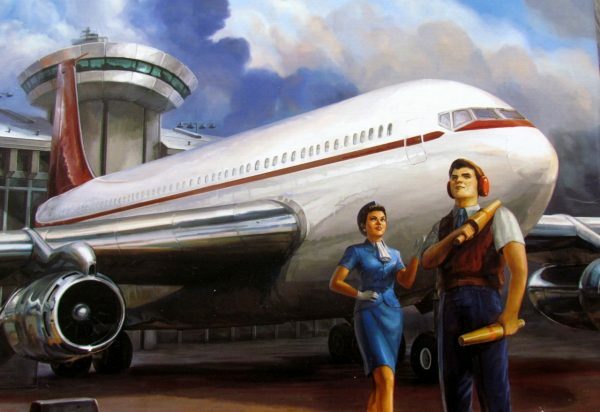 But even that’s not all, because the last icon hides possibility of another improvements – creating an airport in a different location or improve their machine by purchasing parts or even whole additional aircraft for their fleet. 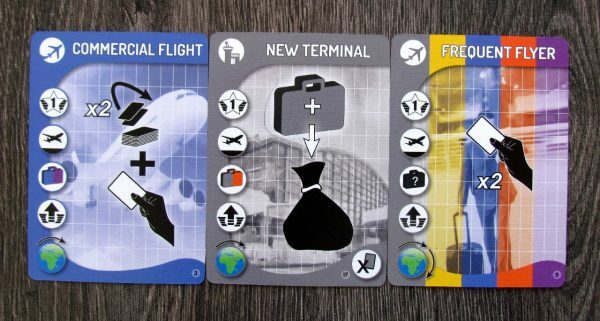 At the end of each turn, player draws one card in his hand from the common airlines deck and then refills passengers waiting on the globe to set numbers (depending on number of participants). After emptying the drawing deck, players shuffle discard pile and create a new one. But it also means end of the round. When players run out of cards for the third time, they only have one last turn remaining and the whole battle for dominance of airspace ends. Players are awarded points according to their achievements in comparison with goal cards, add these points to those obtained during the game and whoever has most points in total is the winner. 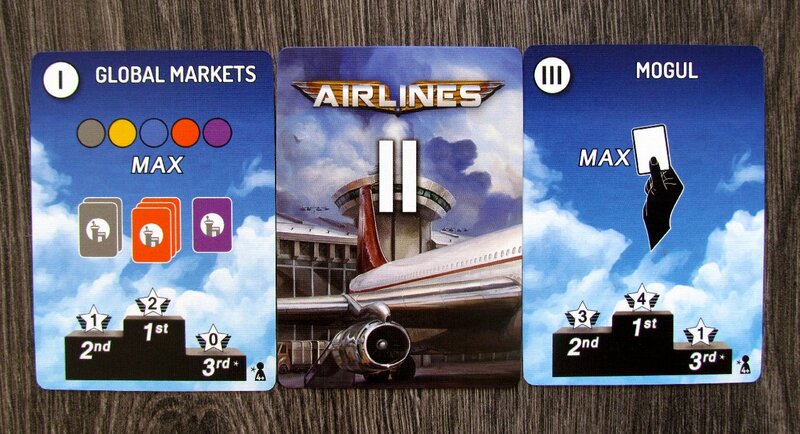 Airlines is a strategy game, that is fighting for your attention especially with its processing. There certainly are many eyes, that will look on this game as candidate for purchasing, but how many will really keep it? Impression and overall opinion depends on your relationship to luck. It fundamentally affects development of the whole region in drawing cards. These are controlling the entire match. But the fundamental problem is imbalance of turn actions. According to the description and impression, it would seem, that you do not know what to do first. But while some activities are strong enough and you’ll turn to them with certainty (improving airlines and airport construction), others seem somewhat unneeded (construction of some buildings). And then, there is delivering travellers, which is dependent not only on the card, but also requires correct position of airports. Although the player always has to choose from several cards to play, feeling that there is only few things to do does not stop. 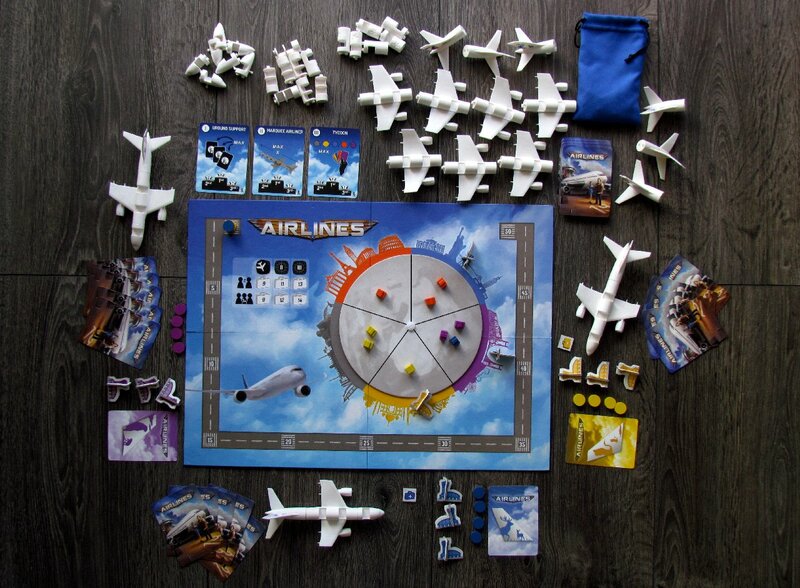 Airlines is a game, that we wanted to compare with Ticket to Ride. Sure it is possible, when it comes to luck. Alas, there is a little too much options and icons for family players, that might slightly discourage them from learning it. 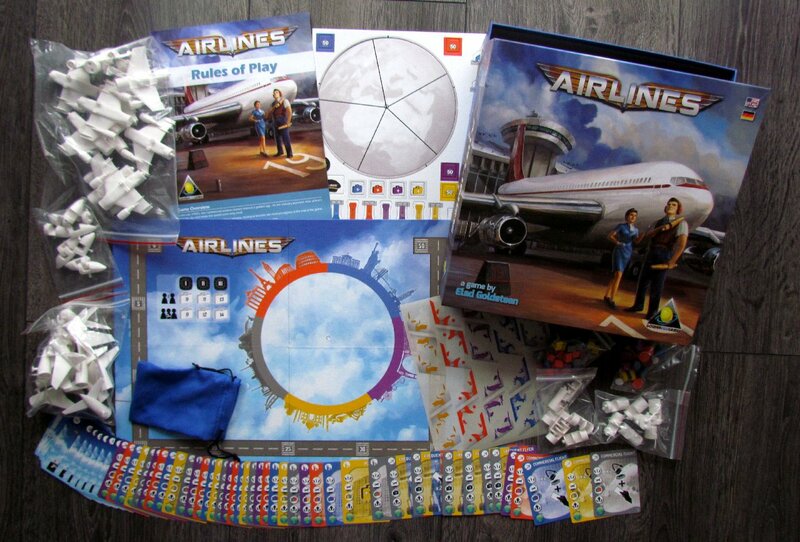 Fortunately, Airlines in terms of gameplay remain relatively simple and quickly learnable game. And there are public tasks, which challenges players to adjust strategy to gain more points at the end. That might sound very negative, but none of the problems described is not large in any way, that would prevent you from enjoying the game. Paradoxically, we were entertained by this game quite nicely and you will probably be as well, if you do not require significant planning or control from your playing. In the event, that you resing on these limitations, you get a nice affair, which also looks really unique. The length of the game matches classification, that you have read a few lines above. Match certainly happens during one hour, if you do not unnecessarily delay your turns. Overall impression is then not significantly different, whether you’re playing in two, three or four. That’s because players do not block each other significantly. 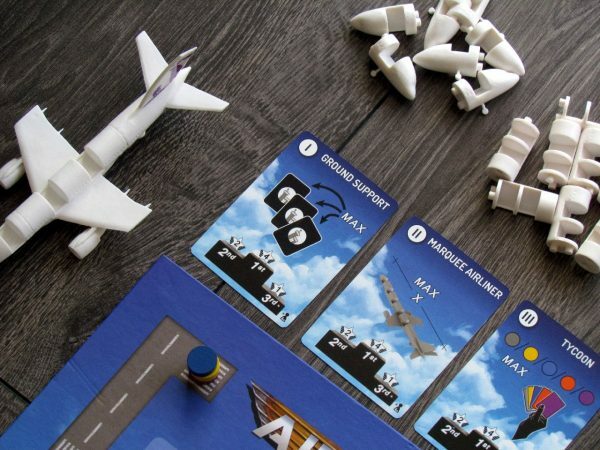 However, where processing gains an edge and bonus in form of beautiful miniature aircrafts, it will lose some praise points, when it comes to graphics. 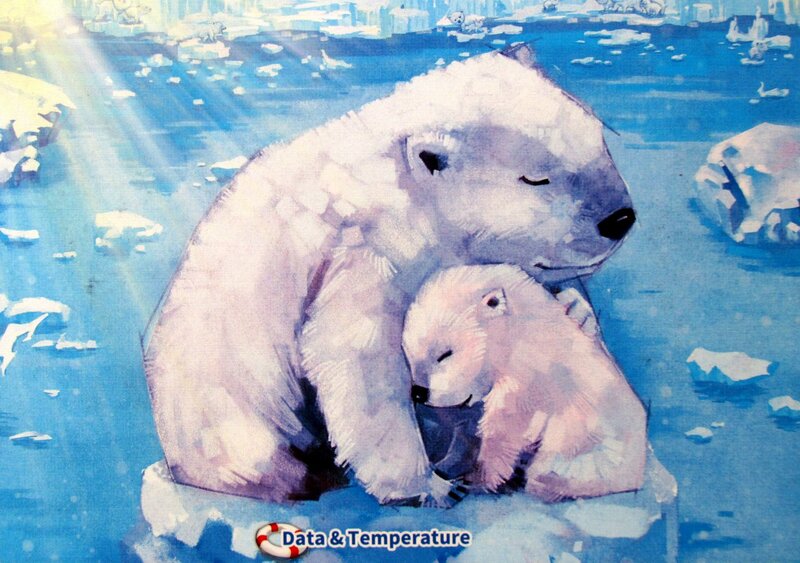 It is very average and icons are not entirely clear. It is strange especially ginve simplicity of the game and its rules. 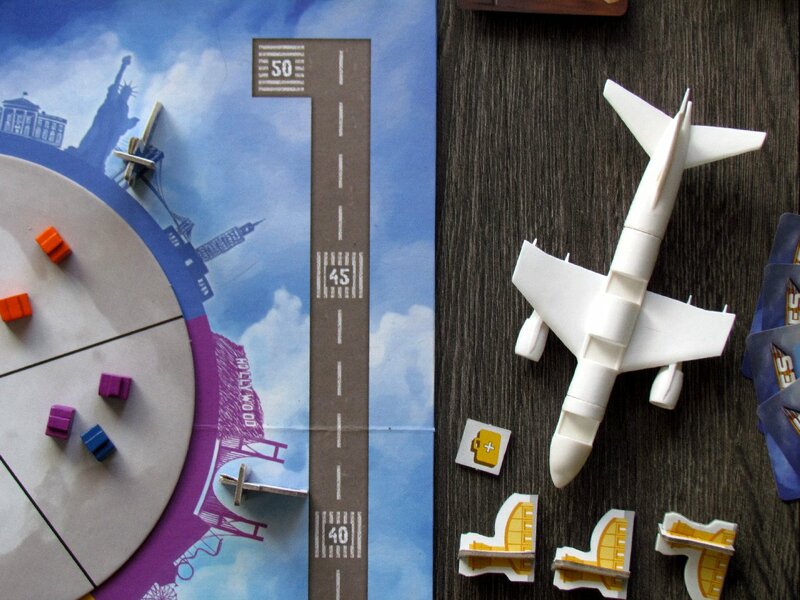 Although Airlines are far from perfect, we like this game quite a lot. It fills the cup of enjoyable family entertainment, from which you will gladly sip. 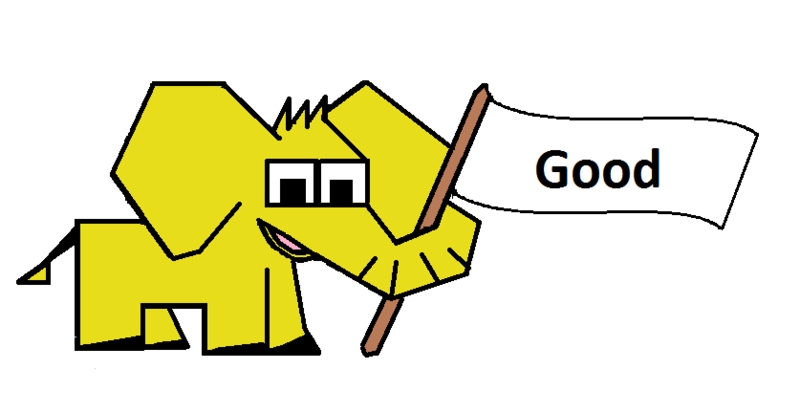 Yes, its random, but many other great games are as well and they have success. So why shouldn’t this one? That would certainly not be the deciding factor. But same is true for aircraft models. It is all a pretty solid game. But hand on heart. If you want to buy Airlines, beautiful airplane models will certainly be the one to blame. 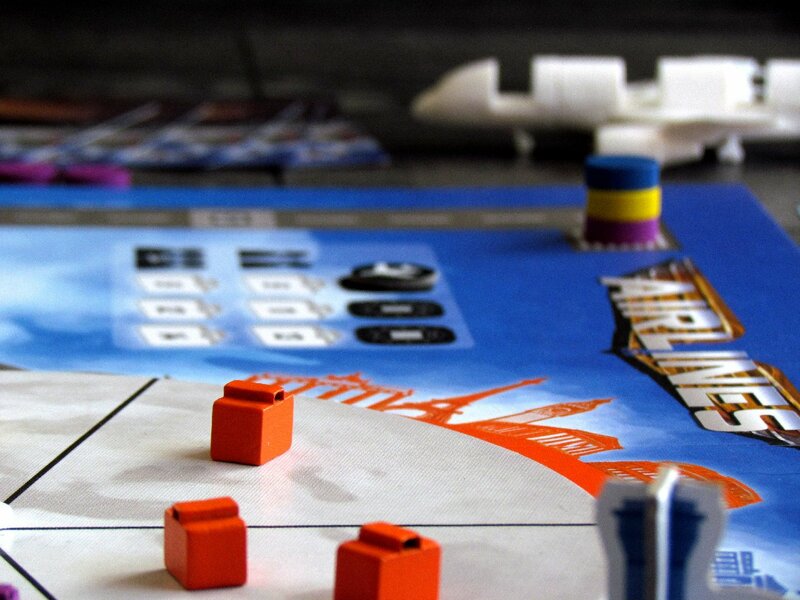 Airlines is not a game, that could be easily evaluated. 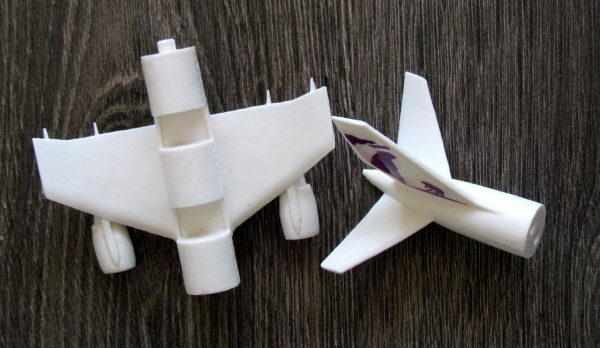 On one hand, it has unbalanced actions and you will not use some of them, on the other hand it offers a real transporting people, providing true aircraft models. This is basically a family game, including a random draw of cards, which can then decide about acquired victory points. It is only up to you, which side of this decision is more important to you. Airlines can both entertain and disappoint.